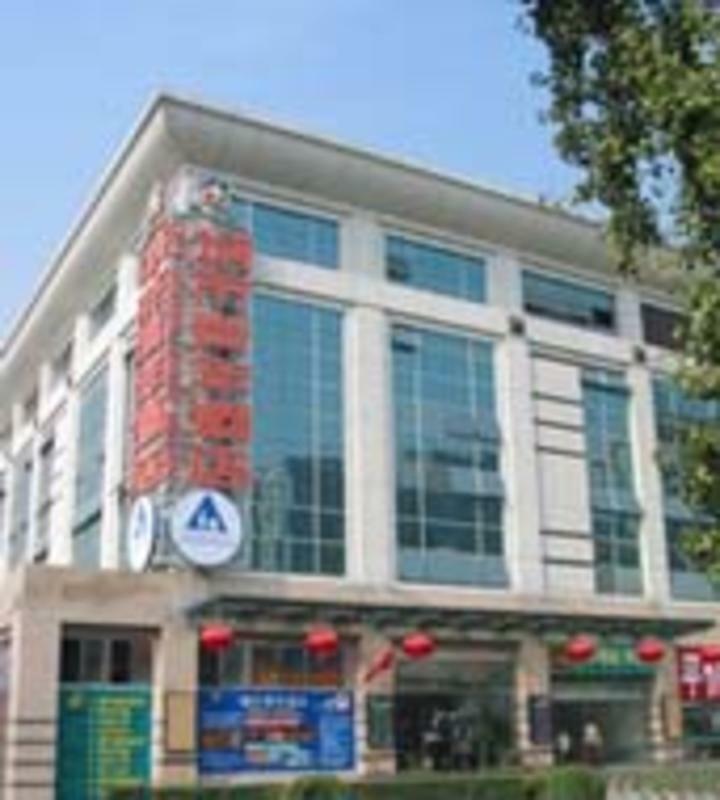 Beijing City Central Youth Hotel is located at the northwest corner of Beijingzhan Jie,right across from the Central Railway Station.Bus ter Bus terminal, airport shuttle bus stop and taxi stands are next to the railway station, and Beijingzhan subway station is just outside the door. This is the largest property of Hostelling International in Beijing, with central air conditioning and individual controls in each of the 274 rooms.It offers a computer/internet room, billiards, and backpackers bar.There are 24-hour mini-supermarket, breakfast bar, coffee lounge, mobile phone shop.And Post office, ATM, IC/IP phones, express film processing, just neighbor our hotel. The guest rooms on the 3rd to 6th floors include ensuites, doubles, singles, and 4 and 6 bunk dormitories. You can go shopping in Henderson Center where displace fashion boutiques, jewelry shops, hair stylists and beauty salon, men\'s fashion and sports wear shops.Dental care, massage salons, pharmacies, eyeglass shops, bookstores, and souvenir shops in the vicinity. The property is next to the central business district that contains many gourmet kitchens serving diverse national and ethnic delicacies. ATM facilities can be found in the many nearby banks along Beijing zhan jie. Tian\'anmen, Forbidden City, Tiantan, Observatory Museum, Nanhai, Zhongshan Park, and Wangfujing Dajie shopping street are all located a short ride from the property. - Twin rooms private bath with free Internet,hairdryer,safe. - Double rooms private bath with free Internet,hairdryer,safe. - 4 and 6 bunk dormitory rooms with lockers, linen & duvet provided. - 2 bed private dormitory rooms with linen & duvet provided. 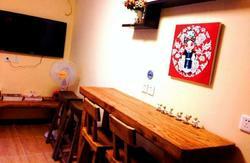 - Single rooms public bath, linen & duvet provided. The Backpackers\' Club supplies delicious Chinese and Wesern buffet on the 3rd floor from 6:00am to 10:00am. It\'s only cost RMB15 per person..
Our information desk also provide information on cultural entertainment such as folk dances, Chinese orchestra performances, kung fu show , traditional ceremonies, Chinese opera, folk song performances, etc. You can book tours by e-mail or book at the information desk upon your arrival. Walking on the Great Wall of Jinshanling(8km) cost 180RMB(transportation only). The structure of Jinshanling was mainly built in 1570 of Ming Dynasty and it was a well-preserved fortification system as well as natural fantastic scenery. Along the way you will enjoy the beautiful scenery and you will bring home many pleasant memories. Tours also available to the Badaling or Mutianyu & Ming Tombs, the price includes transportation, all fees, lunch and English guide cost 180RMB. The Summer Palace tour includes tours to the Temple of Heaven, Forbidden City, Tian\'an men Square along with the Summer palace included for transportation, guide, and lunch cost 260RMB. Our information desk also provide information on Chinese acrobatics show, Chinese kung fu show ,and Chinese opera show. Beijing Opera at Liyuan Theatre, with its traditional setting is on regular live performances either English subtitles everyday. Acrobatics at Jin Sha Theatre is first-class acrobatic show given by the Beijing Acrobatic Troupe, which was founded in 1957.Kung fu show is at Red Theatre. The shuttle bus ticket cost 16RMB per person. 2、Take Airport Express from airport to Dongzhimen,then transfer Subway Line 2 and get off at Beijing Zhan station and out of Exit 'A' . Airport express ticket cost 25RMB. 3、Or you can take taxi ,please show the following address to the driver. 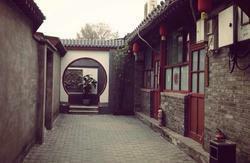 The property is just located at the northwest corner of the Beijing Main train station . Take bus No. 673 or No.9 to Beijing Main Railway Station. Take Subway Line 2 to Xi Zhi Men Station, and transfer Subway Line 4 to Bei Gong Men Station. Take Subway Line 2 to Xi Zhi Men Station, and transfer Subway Line 4 to Bei Gong Men Station, and take Bus No. 696 to Xiang Shan Stop. Take Subway Line 2 to Xi Zhi Men Station, and transfer Subway Line 4 to Yuan Ming Yuan Station. Take Subway Line 2 to Xi Zhi Men Station, and transfer Subway Line 4 to East Gate of Peking University Station. Take Subway Line 2 to Xi Zhi Men Station, and transfer Subway Line 4 to Beijing Zoo Station. Or take Bus No. 103 to Beijing Zoo Stop. Take Subway Line 2 to Jian Guo Men Station, and transfer Subway Line 1 to Tianan Men East Station. 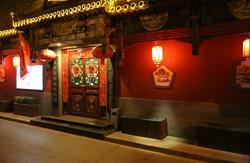 Or take Bus No.103 to Forbidden City Stop. Take Subway Line 2 to Qian Men Station. Or take Bus No.1 to Tianan Men East Stop. Take Subway Line 1 to Tianan Men West Station. Or take Bus No.1 to Tianan Men West Stop. Take Bus No.103 to Bei Hai Park Stop/Summer Palace Stop. Take Subway Line 2 to Jian Guo Men Station, and transfer Subway Line 1 to Xi Dan Station. Or take Bus No. 1 to Xi Dan Stop. Take Bus No.674 to Hua Qiao Cheng South Stop. Take Subway Line 2 to Yong He Gong Station. Take Subway Line 2 to Chong Wen Men Station, and transfer Subway Line 5 to Tian Tan Dong Men Station. Take Bus No.120 or No.403 to Worker Stadium Stop. Take Bus No. 674 to Pan Jia Yuan Qiao Xi Stop. Take Bus No.9/ No.673 to West Railway Station Stop.